In Gerry Anderson’s 1960’s science fiction classic “Thunderbirds”, Gordon Tracy, [the brother everyone usually forgets about because he has so few story lines], is always on standby to venture into the deep piloting International Rescues’s own yellow submarine, Thunderbird 4, to rescue those in danger and to stave off imminent disaster. A recent article in the Sunday Times [29 April 2018-Paywall] reported claims that another international rescue mission, by another yellow submarine, was actually being prevented from saving a vessel in immediate danger. This time the vessel in distress was the wreck of Admiral Sir John Balchen’s flagship HMS Victory, sunk with the loss of all her crew of over one thousand in October 1744. However, while the submarine which would mount the rescue, Zeus, is indeed yellow like Thunderbird 4, instead of Gordon Tracy the vehicle would be flown by the ROV pilots of Florida based treasure hunting company, Odyssey Marine Exploration, working to contract for what many of Odyssey’s critics in the world of archaeology regard as Odyssey’s “Mini Me”, the UK charity the Maritime Heritage Foundation. While this time the danger comes, not from the villainous Hood, but from the machinations of the villainous bureaucrats of the British Government and their red tape wielding archaeologist henchmen. These villains are allowing the wreck of HMS Victory to be destroyed by bottom trawling bulldozers of the deep rather than allow Odyssey and the MHF to undertake the work. At least that is what the article alleges, quoting the chair of the Maritime Heritage Foundation Lord Lingfield and the project’s lead archaeologist Dr Sean Kingsley. However, as is usually the case with anything to do with Odyssey and its partner the MHF, the article, which seemed to have been placed to remind everyone that the HMS Victory project still exists and that Odyssey and the Maritime Heritage Foundation really, really want to undertake it, masks a far more complicated story, where all is not as it seems. At least, as it would seem to anyone who only read the Sunday Times story. In fact, thePipeLine can reveal that the MHF’s commercial contractor, Odyssey, has undertaken no significant or published work on the HMS Victory wreck site since unlicensed activity in 2012, which resulted in Odyssey receiving a final written warning in lieu of prosecution, from the Marine Management Organisation over breaches of the Marine and Coastal Access Act. Since then the company has also barely survived a financial meltdown which required it to submit to what is effectively a take over from a Mexican mining company. As part of the survival plan Odyssey was also forced to set up a partnership with a rare coins dealer and to sell its signature and only remaining, salvage vessel, the converted trawler Odyssey Explorer. Meanwhile, the Maritime Heritage Foundation has received no income since the financial year 2014/2015 and has made no known attempt to raise the millions of pounds necessary to undertake the work on the HMS Victory wreck site. A lack of activity which puts the MHF in the running to be one of the UK’s least active charitable bodies. Therefore, as part of thePipeLine’s commitment to public service journalism, and our equally longstanding commitment to keeping an eye on what Odyssey and the MHF are actually getting up to on the HMS Victory project rather than the version which Odyssey/MHF feed to the media, we decided to look between the lines and test the principle claims in found within the Sunday Time article against the other information which was omitted from the coverage in the newspaper. Not true, [oh all right, it depends on how you define “politics”]. In fact HMS Victory is not “mired in politics,” at least not in any party political sense. It is however the center of a government regulatory process which is designed to ensure that any work carried out on the site is in full accordance with the UK Government’s policy towards historic wrecks, which is to follow the Annex to the UNESCO Convention on the Protection of the Underwater Cultural Heritage as representing archaeological best practice. A fact which is not made clear in the article. So far, in spite of its own protestations to the contrary on its webs site, it appears that the registered charity which manages the wreck and for which Dr Kingsley acts, the Maritime Heritage Foundation, which is chaired by the senior Conservative Peer Lord Lingfield, have not produced a project design for the Victory 1744 project which the UK Government regards as being compliant with the UNESCO Annex. The sticking point would appear to be that the Maritime Heritage Foundation has agreed a commercial salvage contract with Odyssey, which the company announced as soon as the Maritime Heritage Foundation were gifted the wreck by the UK MInistry of Defence in January 2012. In pursuit of profits based on that contract, Odyssey repeatedly used the media and presentations at investment events to tell would be shareholders that the contract to salvage HMS Victory 1744 would result in a multi-million dollar “monetisation” of the site. A slide taken from then Odyssey COO Mark Gordon’s presentation at the Noble Capital Markets Investment Conference held in January 2013, showing Odyssey’s estimate for the “monetization” of the alleged treasure on HMS Victory 1744. Legal experts have told thePipeLine that the published terms of the contract would allow the Maritime Heritage Foundation to pay Odyssey in kind for its work on the HMS Victory wreck site by handing over finds to the value of the work, if those finds could not be proven to be the property of the UK Government. Odyssey would then be free to sell those finds commercially if the company chose to. This could include coins and bullion, if any are found on the site, as well as the personal possessions of the lost crew. Perhaps including items such as the personal jewelry and plate of the ship’s officers. Such commercial exploitation could see the artifacts sold pass to any number of different individuals and institutions which would in turn have the effect of destroying the integrity of the HMS Victory archaeological archive. This is also forbidden under the rules of the UNESCO Annex. It follows that, as long as the contract stands, no UK Government could allow Odyssey and the MHF to work the site unless it explicitly changed its policy to allow the commercial sale of archaeological finds by the excavators and the deliberate splitting up of an archaeological site archive. This would be an outcome which the archaeological world would find utterly unacceptable and which would almost certainly provoke both legal moves to attempt to reverse the decision and an international row focused on the morality of profiting from the sale of the personal effects of dead Royal Navy sailors. Such an outcome would be unlikely to appeal to the recently appointed Defence Secretary Gavin Williamson. Particularly as Mr Williamson is widely held to harbour ambitions to lead the Conservative Party. 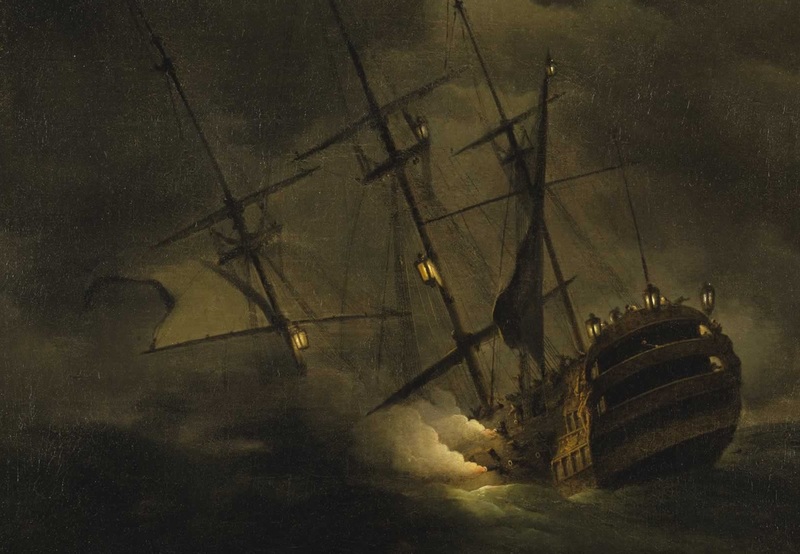 While it is true that Odyssey Marine Exploration have published a series of papers about HMS Victory 1744 wreck site, including papers detailing alleged damage to the site by trawlers and illicit salvage, many maritime archaeologists regard that evidence as unreliable, not least because Odyssey does not publish its evidence in peer-reviewed journals. Maritime archaeologists who are critical of Odyssey and the MHF’s position on the effects of trawling point out that, in spite of being at the bottom of the English Channel since 1744, with trawlers active in the area for many years, the HMS Victory wreck site remains a relatively small discrete mound, with fragile objects, such as the ship’s much degraded rudder surviving on the surface and not spread across a wide area. It may even be that Dr Kingsley himself might not be able always to be quite so clear about cause and effect with regard to trawl damage as the article claims. Several sources in the maritime archaeology and diving community have confirmed that, when Dr Kingsley spoke at the annual Shipwreck Conference in Plymouth on 3 February 2018, he showed a slide which he claimed showed the tracks left by bottom trawls close to the HMS Victory wreck site. However, under questioning from the audience at the conference he admitted he had not been able to photograph similar tracks running across the wreck site. Critics also make the point that, because of that contentious commercial salvage contract, the Florida based company has a financial interest in proving that the HMS Victory wreck site is under immediate threat. What can be said for certain is that the archaeologists at Historic England and on the Expert Panel and Advisory Group, who advise the Ministry of Defence, clearly do not yet accept that the case against trawling is proven and that the site is under such immediate threat that a “rescue” of any of the HMS Victory artifacts needs to be undertaken as a matter of urgency. The assertion that the site can only be reached by robots is simply not true. According to Odyssey’s published papers, HMS Victory lies at a depth of around 72m, well within reach of so-called Technical divers. Such specialised divers have been visiting the wreck of RMS Lusitania regularly since the 1990’s and Lusitania lies at 93m, some 20m deeper than the HMS Victory wreck site. That said, it could have been true to say that it could be easier, quicker and safer to work the site remotely using Remotely Operated Vehicles [ROV’s]. Technical divers would have a working “bottom time” of around twenty minutes to half an hour, while an ROV can work 24/7, or until it breaks down, if the operators work in shifts. However, once again it is in Odyssey’s commercial interests to state that the site is only accessible by such means because the company made its name using ROV technology in deep water, which is beyond the reach of divers. Indeed, following financial difficulties, the company protected its access to the technology by spinning off its ROV hardware into a separate company called “Clio Offshore“, which is based at Portland on the south coast of England, although the Clio web site lists no significant projects undertaken by the company since 2016. “Kingsley said repeated attempts to start had been halted by an army of government advisers and heritage experts moving goalposts after countless meetings”. thePipeLine understands that, far from the charity making “repeated attempts to start” discussions between the Maritime Heritage Foundation and the Government have not moved past the issue of the project design and an abortive application for an MMO licence. While the precise make up of the Advisory Group and Expert Panel which advise the Government about HMS Victory 1744 have not been released to the public, thePipeLine understands that, far from being “an army,” the two groups actually consist of a handful of independent experts, working alongside representatives of regulatory bodies, including Historic England, the Marine Management Organisation, and the receiver of wreck as well as the National Museum of the Royal Navy. As for the notion that there have been “countless meetings”, the groups only meet when the Ministry of Defence asks them to if there is something to discuss. Such as a new project design submitted by the MHF. Neither does the available material show that the “goalposts have been moved…”. The UK Government policy has been consistent in demanding adherence to the UNESCO Annex and compliance with the requirements of the Marine and Coastal Access Act since the wreck site was gifted to the MHF in January 2012. The only occasion when Dr Kingsley could have claimed realistically that the goalposts had moved was the decision of then Defence Secretary Michael Fallon to grant permission for the recovery of surface items from HMS Victory in the Autumn of 2014. In other words, on that occasion, the goal posts were moved towards Odyssey and the Maritime Heritage Foundation. However, that permission was later withdrawn by Mr Fallon in the face of the threat of a judicial review which alleged that Mr Fallon had not followed Government policy and procedure when he granted permission for the recovery. A subsequent request by thePipeLine under the Freedom of Information Act revealed that the whole project was to be financed by Odyssey on the basis of a treasure hunt for HMS Victory’s alleged cargo of bullion. This is contrary to the UK policy under Rule 2 of the UNESCO Annex and shows that Mr Fallon was indeed wrong in granting permission for the recovery in the first place. As far as footballing metaphors go, it is Odyssey and the Maritime Heritage Foundation who are still bumbling around in midfield, trying to persuade the referee to let them play by different laws to everyone else. It is true that all work on the HMS Victory wreck site requires the consent of Defence Secretary Gavin Williamson and it is technically true that the Odyssey/MHF team has not been allowed to start excavation work. However, that headline obscures the fact that the problem appears to be entirely of the Maritime Heritage Foundation’s making. Thus far it is clear that the MHF has failed to provide a project design which is in alignment with UK Government policy. If such a project design had been provided permission to work on the site would have been given. Leaving aside whether HMS Victory 1744 is indeed the most important British shipwreck since the discovery of Mary Rose; a case could be made for the Dover Bronze Age Boat, the medieval Newport Ship, the wreck of HMS Stirling Castle on the Goodwin Sands and that of HMS Invincible in the Solent among others, being the most important recent UK wreck discoveries, there is a great deal of information about the HMS Victory project in the public domain. For example, the Maritime Heritage Foundation has its own website and the supporting documents for the licence application were available on the Marine Management Organisation website. There is also a fair amount of media coverage. However, the problem with much of the other material is that it is not “helpful” to Odyssey/MHF’s cause. For example, in 2014 the work of investigative journalist Dominic Kennedy in “the Times”, revealed that, around the time Lord Lingfield became associated with Odyssey, the spelling of Admiral Balchen’s name on Lord Lingfield’s Balchin family website had been changed from the Balchen spelling used on Admiral’s monument in Westminster Abbey and in HMS Victory’s own muster roll, to follow Lord Lingfield’s own modern family name Balchin. At this point it is also necessary to look behind the description of Dr Kingsley as the HMS Victory project’s “lead archaeologist”. In fact he is much more than that. Among the errors and omissions, in what is a relatively short article, is any mention of Dr Kingsley’s potential conflict of interest, because he is actually closely associated with both the major parties involved in the HMS Victory project, Odyssey Marine Exploration and the Maritime Heritage Foundation and has been named as such in Parliament as well as in documents released under the Freedom of Information Act. Introduced in the Sunday Times article as the lead archaeologist of the Victory Project for the Maritime Heritage Foundation, what the article fails to mention is that Dr Kingsley has also been a consultant to Odyssey Marine Exploration since 2002 and describes himself as such on his website. He is also seen working in that capacity with Odyssey in the two reality TV series about Odyssey, “Treasure Quest” and “Billion Dollar Wreck Hunt”[aka “Silver Rush”]. Of course, it is not illegal for Dr Kingsley to have more than one employer, and there is no evidence that he has misused his positions with either party, either working to them directly, or through his consultancy Wreck Watch International. Equally, there is no evidence linking Dr Kingsley with any of the unethical or unlawful activities of which Odyssey have been accused over the years [see below]. Neither is there any suggestion that he would have condoned such activities had he known about them. However, it is clear that by being linked to both the body awarding a major contract, the Maritime Heritage Foundation, and to the chosen contractor, Odyssey, Dr Kingsley is open to the accusation of having a major conflict of interest. For example, in what would be a multi-million pound project, how could he ensure a best price for the share holders of the commercial company Odyssey and best value for the charity the Maritime Heritage Foundation? The two responsibilities appear to be mutually exclusive. In support of this suggestion it is pointed out that the terms of the contract between the MHF and Odyssey, at least those which were published in Odyssey’s press release in February 2012, show that Odyssey would be reimbursed first for the costs of its salvage work and then also for between 80% and 50% of the “fair value” of the artifacts recovered. This is neither an industry standard “No cure, no pay.” salvage contract, nor a typical archaeological contract where the monetary value of finds plays no role. Effectively the contract would see the Odyssey paid twice, making the project much more expensive for Lord Lingfield’s charity than a normal archaeological project where there is no consideration for the commercial value of finds in the collectors market and the only costs are those of excavation, conservation, archiving and exhibition. Lord Lingfield has never explained why the trustees of the Maritime Heritage Foundation agreed to take on such significantly increased costs for its project by signing up to such an unusual contract. It is true that the contract with Odyssey is problematic for the HMS Victory project. Indeed, for many of the MHF’s critics the collaboration with Odyssey is the main problem and, the critics say, with good reason. Odyssey has been proven in the courts to play fast and loose with the established national and international law surrounding lost warships, while allegedly misusing archaeological evidence to do it and neither Lord Lingfield, nor Dr Kingsley can complain they were not aware of this. In 2007 Odyssey found and recovered seventeen tons of silver coins as well as other valuable items from the seabed off the coast of Portugal. The bullion was landed secretly in Gibraltar and immediately flown to Odyssey’s base in Florida. Unfortunately for Odyssey it soon emerged that the coins came from the wreck of the Spanish frigate Nuestra Senora de las Mercedes, which blew up in action against the Royal Navy in 1804 and that Odyssey had removed the bullion unlawfully. The result was that the Kingdom of Spain began a protracted legal action in the USA to get their property back. Information from US court records and the Parliamentary record Hansard, about both the treatment of Spain’s legal rights and of the historical evidence by Odyssey during the Mercedes case and of the UK’s Marine Management Organisation investigation of Odyssey’s conduct on the HMS Victory wreck site in 2012, is all openly available in the public domain. But then, as we saw above, Dr Kingsley might be regarded as better informed than most about the potential problems of working with Odyssey as he had produced documents which Odyssey submitted as exhibits in the course of the Mercedes case. Of course, once again, it is necessary to say that Dr Kingsley was not responsible for the use to which Odyssey’s senior management and legal team put his work as part of their legal strategy which produced such an outspoken response from Judge Merryday. However, given all that evidence an objective observer, or a curious journalist for that matter, might at least suggest to Dr Kingsley and Lord Lingfield how Odyssey’s proven track record does go some way to explaining why the Maritime Heritage Foundation was having trouble getting the HMS Victory project approved by the Ministry of Defence. Ultimately the journalistic term for what appeared in the Sunday Times last weekend is a “Puff Piece”. That is filling column inches in a newspaper by promoting something or someone, without objective commentary. In this case what was being puffed is a commercial salvage contract, awarded by a charity which according to its most recent published accounts for 2016/2017 had received no income, undertook no significant charitable activity and had just under forty two thousand pounds in the bank; enough to pay for barely a few days on the HMS Victory site for a salvage vessel. Indeed, apart from its abortive attempts to obtain a licence for the project, the only other significant activity the Maritime Heritage Foundation has undertaken since its formation is to launch a website and purchase a coat of arms at a cost of over £13,000. Seen in that light, the entire article reads like a press release from the Maritime Heritage Foundation and, as such, fits with series of articles which Odyssey and the MHF have placed with UK broadsheets and tabloids previously. In fact an article with an almost identical thrust to that published in the Sunday Times on 29 April, appeared in the Mail in July 2015. Coming as it did shortly after the Conservative Party’s victory in the May 2015 General Election that publication was seen as an effort to nudge the Defence Secretary Michael Fallon into granting permission for the project, even though only a few months earlier he had been forced into the ignominious reverse ferret, rescinding permission in the face of the threatened Judicial Review. It is probably no coincidence that this latest PR effort comes at the beginning of the maritime archaeology season in the English Channel and shortly after a new Defence Secretary, Mr Williamson, arrived in post. It is suggested that this latest article was, at least in part, about giving Odyssey’s investors the hope that there might be progress on the HMS Victory project this year and reminding Mr Williamson that Odyssey and the MHF know where he lives and could make his life difficult if he is seen to obstruct the project. The Deed of Gift awarding the wreck of HMS Victory to the MHF carries the legal commitment that permission to undertake the project “shall not be unreasonably withheld” by the Secretary of State. This article began with the suggestion that the Sunday Times had presented Dr Kingsley and the Maritime Heritage Foundation as the maritime equivalent of Jeff Tracy’s International Rescue. Of course, anyone who remembers Gerry Anderson’s series will remember that, if you forgot to suspended disbelief, the heroic Tracy brothers were actually somewhat unconvincing puppets, with mouths which moved out of sync with the dialogue. That is the root of the real public relations problem which faces the Maritime Heritage Foundation in trying to get permission to undertake the HMS Victory project..
As thePipeLine explored in February 2016, to its many critics in the world of archaeology, the strings of the Maritime Heritage Foundation are actually being pulled by the treasure hunters from Tampa, Florida, Odyssey Marine Exploration and its voice is that of Odyssey. That at least is true. But then the project has been under consideration since January 2012, and it will continue to be “under consideration “until the Maritime Heritage Foundation submits a project design for the archaeological recovery of HMS Victory 1744 which conforms to Government policy under the UNESCO Annex and demonstrates that it has the millions of pounds in the bank which it needs to pay for that project all the way from recovery to final archiving and exhibition. To the UK Government and the archaeologists advising it, a website, a coat of arms and the promises of commercial treasure hunters are just not good enough.